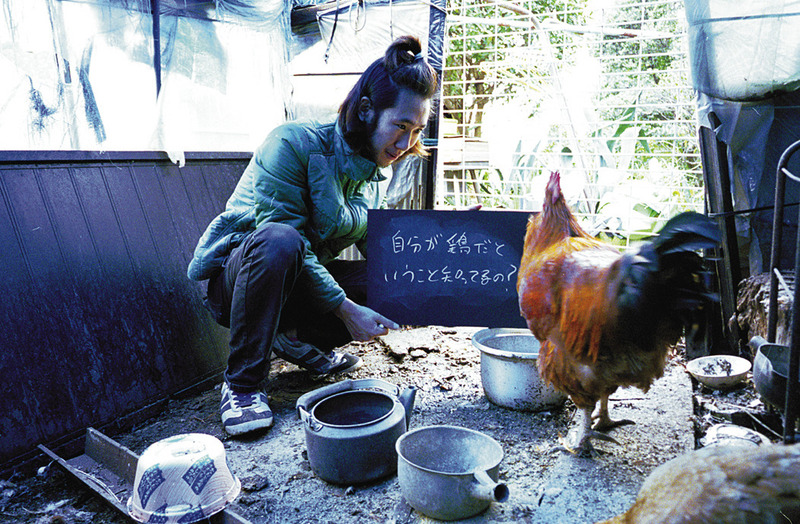 Between June to December of 2005, at the time when Japan was gripped by the bird flu epidemic, Niwa undertakes an experiment to converse with chickens, visiting them with a blackboard and chalk. He would read the newspaper and explain about news that are occurring throughout the world. Sometimes a commentary on America and the Iraq war or the American presidential election, typhoon damages, etc. The artist questions himself through chickens about what our tragedies mean to them, like fighting windmills. From the impossibility of this conversation, Niwa questions what our actual definition of communication is.